Today is the start of the first official full week of being "off " for the summer. Thanks goodness my foot pedal foot is splinter free, the central air is A-O-K, and the sick kid isn't getting any sicker. I guess I had better just stay inside and sew. Now that the Pillow Talk Swap pillow is safe and sound in the hands of its new owner, I can work on some of my other projects. 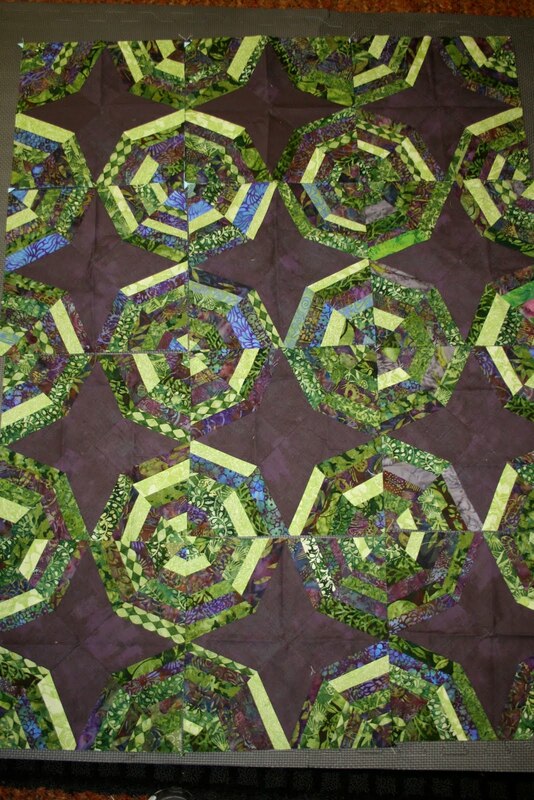 I really want to make a few more blocks and finish my Spider Web Quilt. 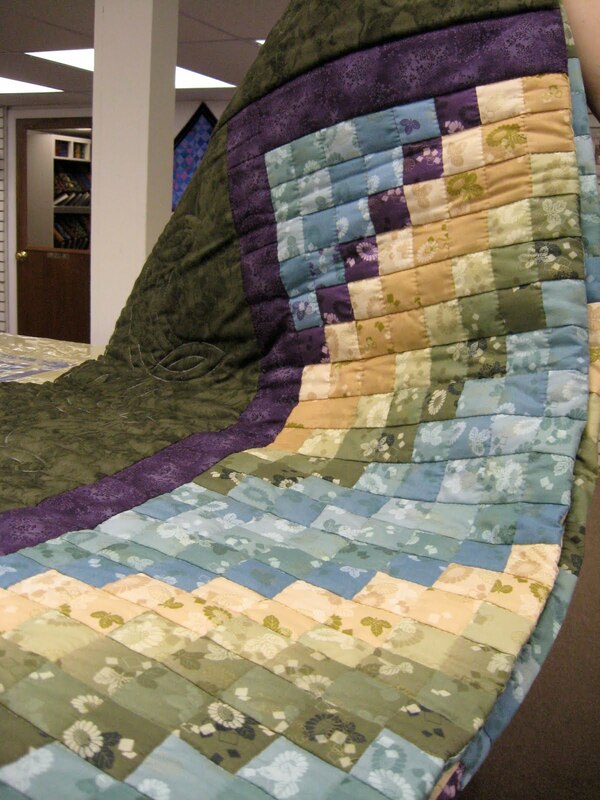 Yesterday was the AQS quilt show in Lancaster. I met up with these 3 crazy girls that I've been getting to know through on-line quilting bees and specifically through the ORBC flickr group. We had a grand time. The quilt show was inspiring, so much so that by the end of the walk through we were all chomping at the bit to go fabric shopping. In the car Dolores surprised us each with a little hand made treasure. Shoo Fly Pie for my favorite man at Stolzfus Deli. This was a whole pie less than 24 hours ago. Then we hit Zook's, The Old Country Store and a few other lovely shops where I acquired this loot. The Old Country Store was a little dangerous for me. I found an entire section of fabric that really spoke to me. Check out those polka dots on the left. The dreaded polka dots!!! Who would have thought it? Those were my first purchases at Zook's and the rest of the day we were all on the lookout for more. I can't wait to cut into them. I was dreaming of the layout last night. We happened into a brand new store that Heidi found called Bitty Kinna's. I spotted this work in progess and had to have the fabric. After some inquring and searching, one of the owner's found Amy Hoffman who own the shop next door. This is her creation and she was about the sweetest lady ever! She actually gave me her leftover yard of fabric from this quilt to get me started. Can't wait for next year! Thanks for a swell time girls! Thanks to another East Coast weather event, I had Thursday and Friday off with the kids. I was able to catch up on some cleaning, laundry and sewing. I spent some time with the kids too, of course. Now that they are getting older though, Mom isn't the main attraction. That has it's benefits as well as its downside. Finally, the main blocks are done for the Old Red Barn Quilt Along #4. I am excited to start the circle cutting. That will be next weekend's project if I have the time. I used a roll of wrapping paper to make the string blocks for this quilt. What they say about "Necessity being the Mother of Invention is so true. I had no rolled paper and wasn't about to go out in the snow, so I used old Christmas wrap and I don't think I will ever use anything else. It worked like a charm! I also found a new project over on Don't Look Now. This is one of the yummiest things I have seen. I have been studying all of the directions and requirements. I am about to take the plunge and invest in the supplies. I have to wait until tomorrow though since this was no spending February. Gigi is have another giveaway on her blog now. I really need to make that skirt! 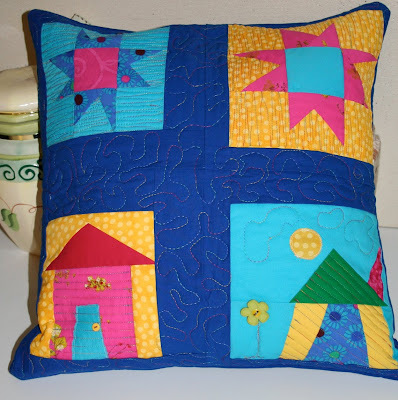 And through her blog found out that Lila Tueller is also doing a giveaway. 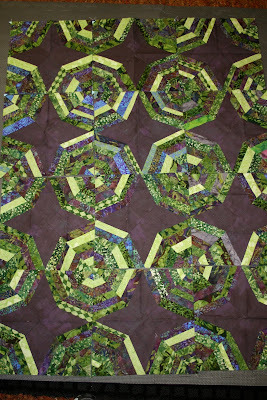 This quilting-blogging world never ceases to amaze me. Some Kaffe Fasset squares and circles that I was playing with. Time to get ready for another Monday and another snow storm Wednesday. Have a great week! While the snow flies and the kids tunnel, I sew. So, while I have my "quilty" pleasures surrounding me in the form of a project planned or a project started, I have my guilty pleasure on my laptop. 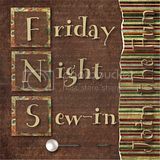 I have started watching LOST through Netflix on my laptop while I sew and work on the blocks for the 5 bees that I am in. It is a good fit since I literally lose myself in my craft while I work. This is my own design using ...... I will be posting a tutorial and fabric requirements once I see how it all comes together. So far it is fabulous. This pile of strips is going to be this someday soon. This stack is going to used to make this. The Boutique by Chez Moi layer cake on the bottom of the stack along with the cream Kona is going to be used to do this. The Spring Fever jelly roll and charm pack and white squares are going to be this. The last 3 weeks have been a whirlwind of family and friends and celebrations. I feel blessed to have been able to have so many of our family and friends to our home over the past month. Wonderful memories were created. This new house needed some. My brother and sister-in-law flew in and stayed for a week. I was able to get a hold of my baby nephew and love him to death. This is the quilt that he got from his favorite auntie :) for Christmas. The softest minkee on the back for his sweet little baby skin. sewing room is brimming with fabric and patterns. So far I have 8 WIP's and it is only the 4th of January. My goal is to get all of them done this year. It was so wonderful to wake up to the first snow of the season and the first snow in our new house this morning. I couldn't keep the dogs inside. Especially Bella, she is a true outdoors girl. After I made the kids waffles, put all of the candles in my windows, exercised, ran a 20 minute errand and put dinner in the crockpot, I promised myself that I would make my crazy 9 patches for the ORB quilt along #4. Here are a couple of them. I like them, but I don't know if I love them. I should have put my math skills to work here and considered the multiples of three and been more selective with where I placed my colors, but I was not in that mode at the time. But they are done and I learned a few things from putting them together. They are nice, the pictures don't do them justice. Dinner is also done, and the wood stack has been replenished by 2 of my very favorite men. So it's time for a little catch up with the family around the dinner table, a fire and maybe a Christmas movie. I am in trouble. 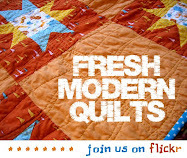 I just found out about this new online fabric store, (thanks Heidi!) and started drooling and pulling out the credit card as soon as I opened it. They have an extensive list of collections and designers. I love the tiered pricing system as well. Be sure to give them a look. I'm a 41 year old mom of 4 with 2 silly dogs and an amazing husband. I love to do everything, I just wish I had time to do it all.